I had the unique opportunity to document this precious family full circle. 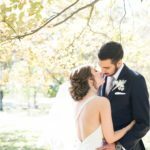 From their maternity photos, Knox’s first year, and to top it off with their wedding day at The Loft on Spring. Now having a little guy of our own, I am even more grateful for the trust that was given to me to be a part of some of their earliest family memories. I get the significance of those moments now, more so than I ever did before. Funny how much a little person changes your whole mind set and puts things in a different perspective for the better. Here’s to many more full circle opportunities and the joy that’s sure to follow.